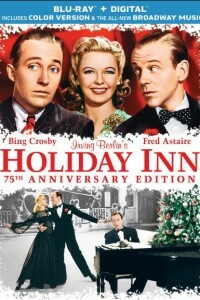 Screen legends Bing Crosby and Fred Astaire sing and dance their way into your heart in one of the most timeless holiday classics ever, Holiday Inn. Featuring the Academy Award-winning song, “White Christmas,” Crosby plays a song-and-dance man who leaves showbiz to run an inn that is open only on holidays. Astaire plays his former partner and rival in love. Follow the two talented pals as they find themselves competing for the affections of the same lovely lady (Marjorie Reynolds). ‘Tis the season for one of the most sensational musical comedies of all time!